Cold weather and snowy driving conditions can reduce your fuel economy in more ways than you might expect. For snow plow drivers, fuel for the vehicle is a necessary business expense that is taken into account every season. You may not be able to completely mitigate cold weather’s effect on your fuel economy, but increased awareness of conditions affecting it can help you make simple changes to improve your fuel efficiency. When mounting a snow plow, additional weight is added to the front end of the vehicle. The additional weight added does not go unnoticed. Additional weight lowers the fuel efficiency of the vehicle. Between snow events and when winter is over, make sure to remove the snow plow from your vehicle. Carrying around the extra weight when it is not needed will cause you to pay the price at the pump. The more devices you add to a vehicle, the more power you consume, the more power you consume, the lower the gas mileage. 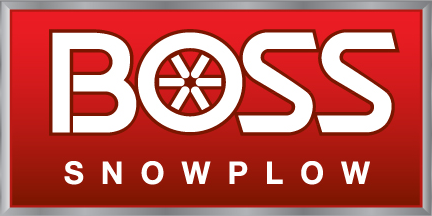 BOSS Snowplow is conscious of power consumption when designing new products. A perfect example of this is the development of the new BOSS SL3 (LED) headlights, which consume less power than the SL2 (Halogen) headlights. In the long run, the SL3 headlights will serve you and your fuel efficiency well throughout the winter months. Icy or snow-covered roads decrease your tires’ grip on the road, wasting energy. Winter tires are specifically designed to handle winter driving conditions. Made with tread rubber that maintains flexibility in low temperatures, winter tires provide additional grip in icy, snowy and slushy conditions. All season and summer tires are made for warm climates and designed to withstand heat generated on the road. In the winter, all-season tires are unable to provide optimal traction. The lack of traction and additional energy required to grip the road decreases the fuel economy of your vehicle. Winter tires are a great addition to your vehicle for your gas mileage and safety. Ballast by definition is a heavy material carried temporarily to provide stability. Snow plows add additional weight to the front end of the vehicle. As such, it is sometimes necessary to counterbalance that weight by adding ballast. Adding ballast also gives your vehicle better traction. While ballast is needed and important, it does affect your gas mileage negatively. Be sure to remove the additional weight during good weather when it is not needed. Wet, slick snow creates slippery roads. When the roads are slick, safe driving speeds can be lower than normal, further reducing fuel economy, especially at speeds below 30-40 mph. Four-wheel drive is most often used during the winter months. That too, uses more fuel. The past couple of winters have brought extremely cold temperatures. Colder air is denser, increasing aerodynamic drag on your vehicle, especially at highway speeds. Engine and transmission friction also increases in cold temperature due to cold engine oil and other drive-line fluids. There’s no getting around the colder temperatures, but you can park your vehicle in a garage to increase the initial temperature of your engine. Remote starters have encouraged the trend of warming up your vehicle before you start your trip. It takes longer for your engine to reach its most fuel-efficient temperature in cold temperatures and sitting idle doesn’t help. Most manufacturers recommend driving off gently after about 30 seconds of idling. Minimizing idling time can improve fuel economy in the cold weather. Park your car in a warmer place, such as your garage to increase the initial temperature of your engine. Combine trips when possible so that you drive less with a cold engine. Minimize idling your car to warm it up. Drive off gently after about 30 seconds. Don’t use seat warmers or defrosters more than necessary. These simple changes can make a big difference when it comes to your fuel efficiency. Awareness of best practices for optimal fuel efficiency will serve you well in the cold winter months.